Taken the bow, popped the question, and go and 'yes'? Time it is now, to take a step further. 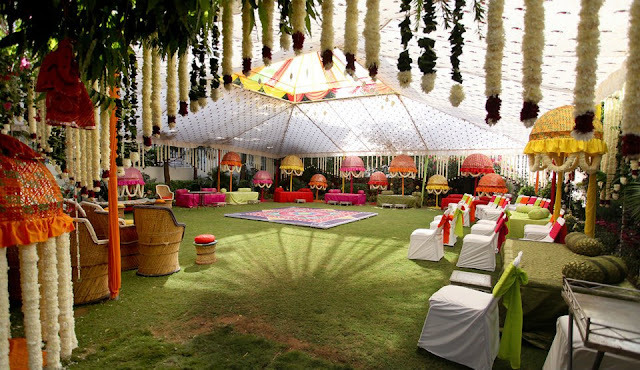 Tieing the knot in one of the most exotic locations in the country would be a dream come true, no? We feel the same way too, which is why we have come up today with some of the best wedding destinations in the country for a marriage that would be remember in the years to come. Udaipur, probably, is the hottest wedding destination in India, with Indians and foreigners alike admiring the magnificence of the lakes and palaces the city has to offer. 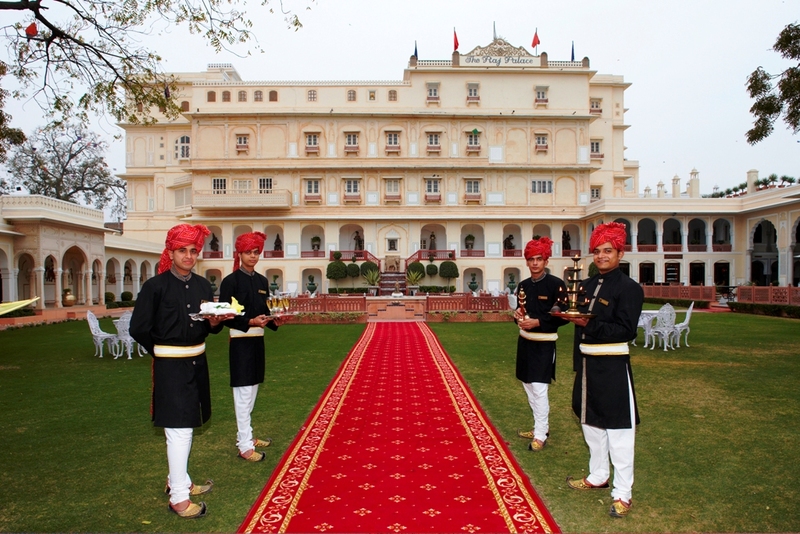 Those grand palace buildings in Udaipur give it a sort of charisma that only few cities can rival. 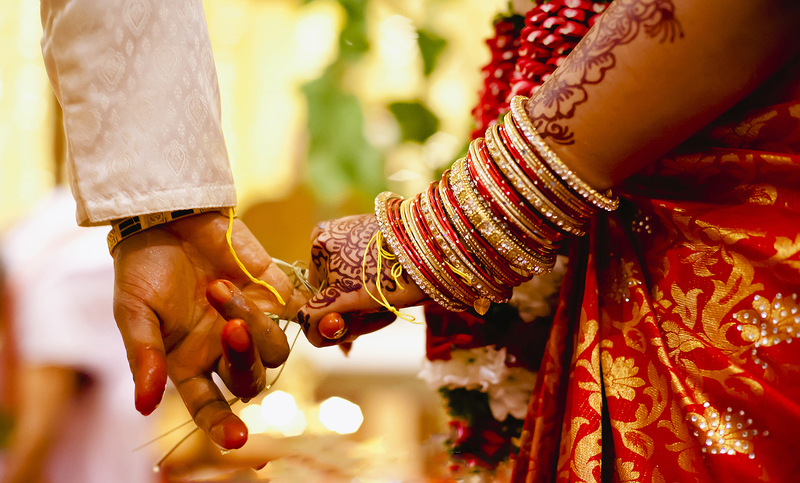 They say, weddings in Udaipur seem like an extraordinary fairy-tale. Jaipur offers a blend of heritage and exquisiteness and as a matter of fact, is quite popular for grandiose marriage celebrations which usually take place in authentic flamboyant palaces or erstwhile mansions. The ‘pink city’ showcases a complete variety of festive ideas and venue options that extend from palaces like the Raj and Rambagh Palace to Havelis or traditional settings in the Samode Palace built into the Aravali Ranges. This is a destination wedding in India with a touch of royalty where the ambiance adds to the Indian wedding decorations. 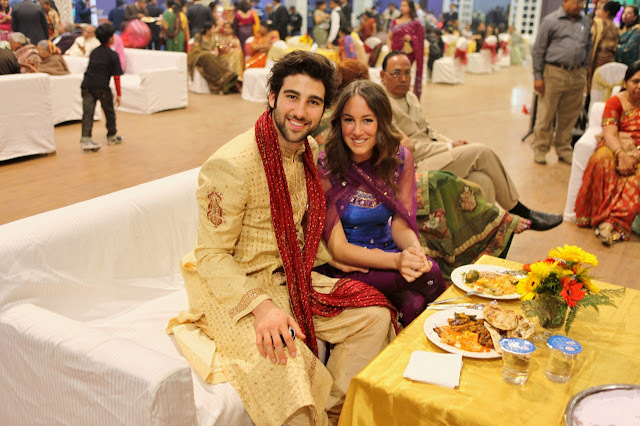 New Delhi, undoubtedly, is the most favored wedding destinations in India. One can find top class hotels like The Tivoli Grand Resort Hotel, The Taj Mahal Hotel, The Imperial Hotel, The Park Hotel and many more. One of the One of the most famous Sainik Farms is also the most luxurious areas where wedding ceremonies are often organized. 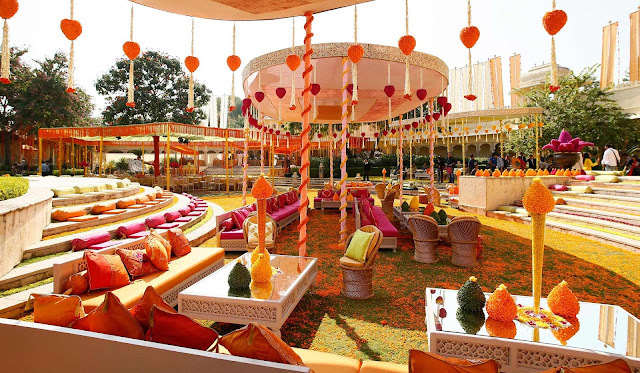 If you looking for atraditional yet unconventional wedding, you can choose the very popular ‘The Manor’, a perfect venue in the New Delhi that is known for its elegance and luxury. 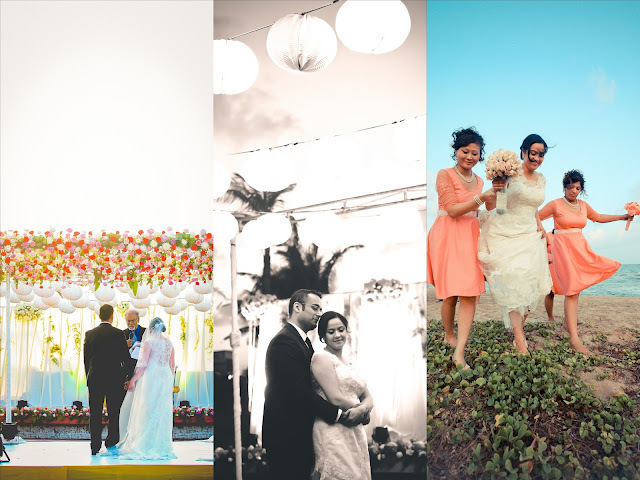 This gentle and agreeable destination is for those who desire one of those quiet and picturesque ceremonies instead of opting for a huge and jam-packed event. The backwaters are serene, pretty and put forth a view that dwells in one’s eyes probably forever. 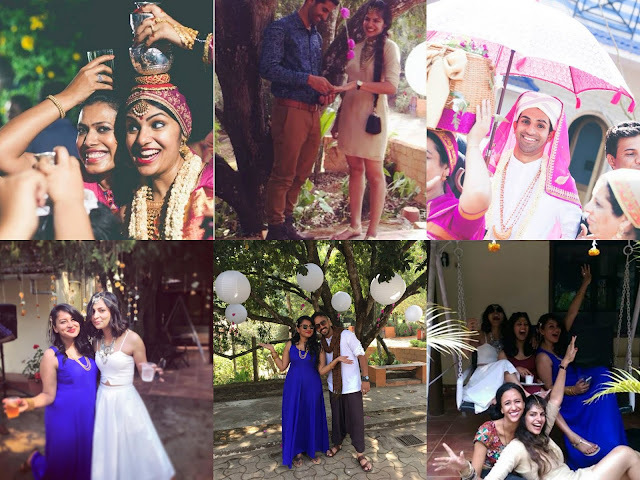 The perfect getaway for a Destination Wedding in India. 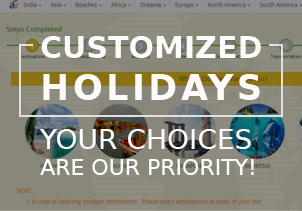 Just envisage the beaches covered with coconut palm trees, the backwaters and the lovely houseboats. Heavenly! What this Indian destination wedding brings about is the prospect of entering in a new realm, away from the mainland, in the midst of white sand beaches, possibly in an astonishing private resort. It’s no less than a coastal paradise residing in the Bay of Bengal comprising of idyllic beaches and lush green forests. The Havelock or the Ross Islands are one of paramount islands of the Andaman for one’s perfect day. 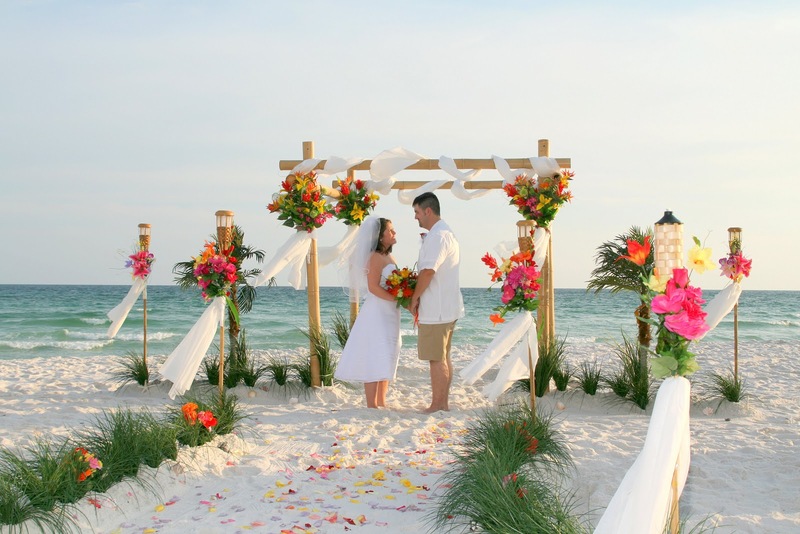 One of the most charming places to tie the knot. The splendid Himalayas cuddle up this delightful city that’s both conventional and contemporary. 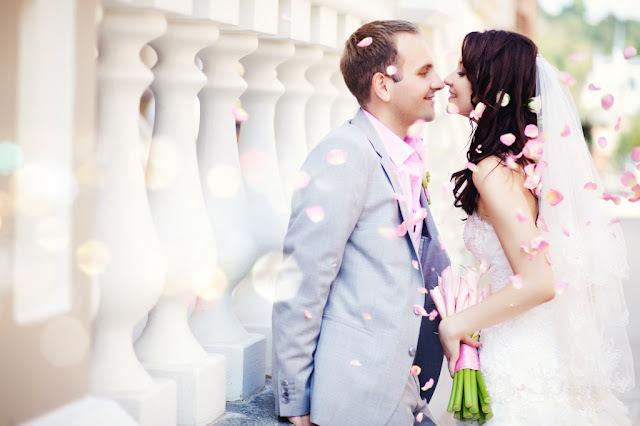 It’s more likegetting married amidst the hills or taking an extraordinary leap by planning the ceremonies inforest guest houses or camps by the river. Shimla allures those who love the mountains and the snow and fantasize of having a Destination wedding in the Himalayas. Doesn’t it sound romantic? Thanks, we'll definitely continue with the great combination of informative and interesting posts.